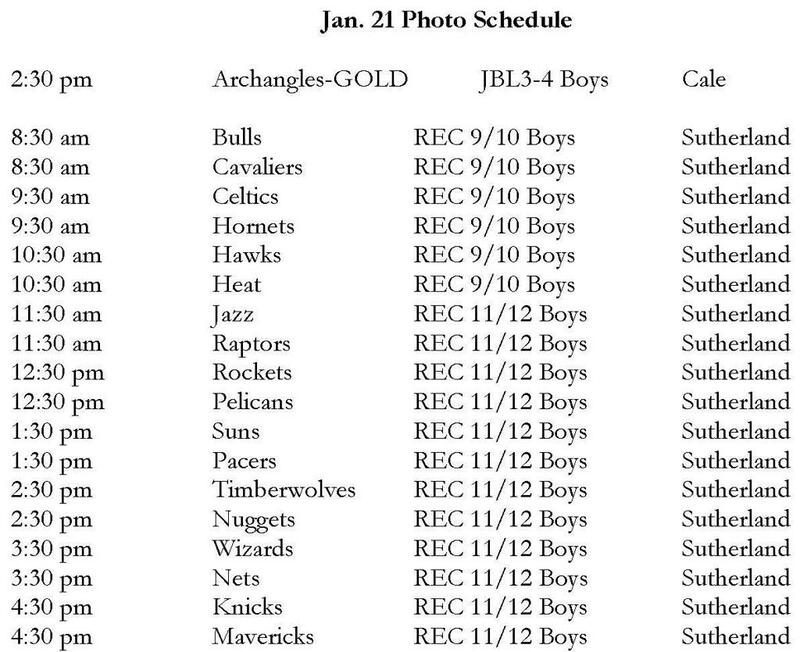 TEAM PHOTOS (rescheduled dates &amp; times)! - MAKE-UPS! TEAM PHOTOS (rescheduled dates & times)! - MAKE-UPS! -->Be present for your TEAM PHOTOS 45-mins BEFORE YOUR GAME! See Schedule below. 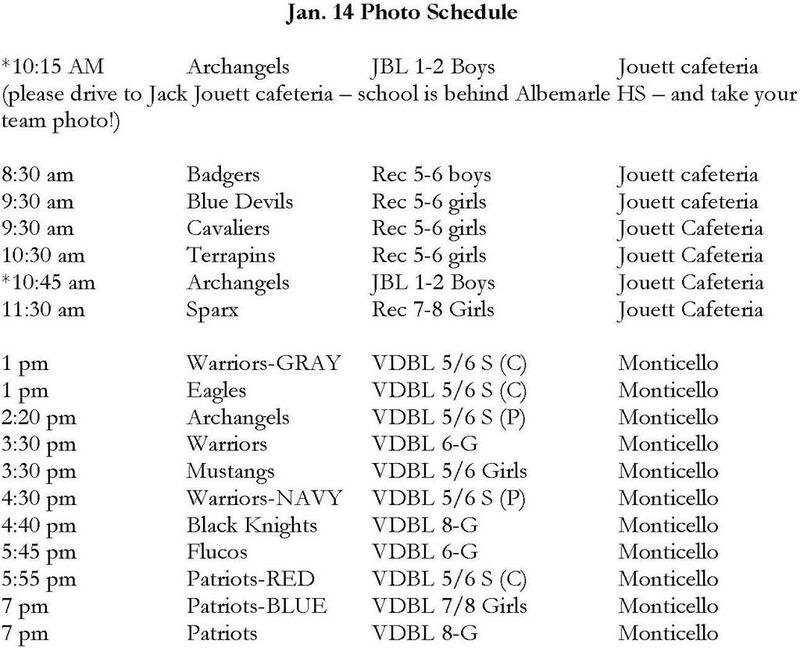 See the photo schedule below and FIND YOUR TEAM. As you can see, this is a huge operation, so make sure to ORGANIZE YOUR TEAM and communicate clearly your expectations! INSERT YOUR INFORMATION TO THE EMAIL ABOVE! Same unique photo style we did last season - very, very cool!! All team photos will take place 30-45 mins BEFORE your game. Parents may purchase photos ON LOCATION if they'd like - or opt to wait and order via Terry Beigie's website later ($4 delivery charge if ordered later). These are not your normal team photos and will have some creative elements to them - special poses in the format of a "TEAM POSTER" (LIKE A UVA TEAM POSTER) - so please inform your teams/families to plan ahead (copy & paste this message to your parents, if you'd like) and allow for proper time so all team members can participate. On your game-date, please instruct your team members to bring one basketball (in a bag, please, to avoid bouncing balls all over the place! ).